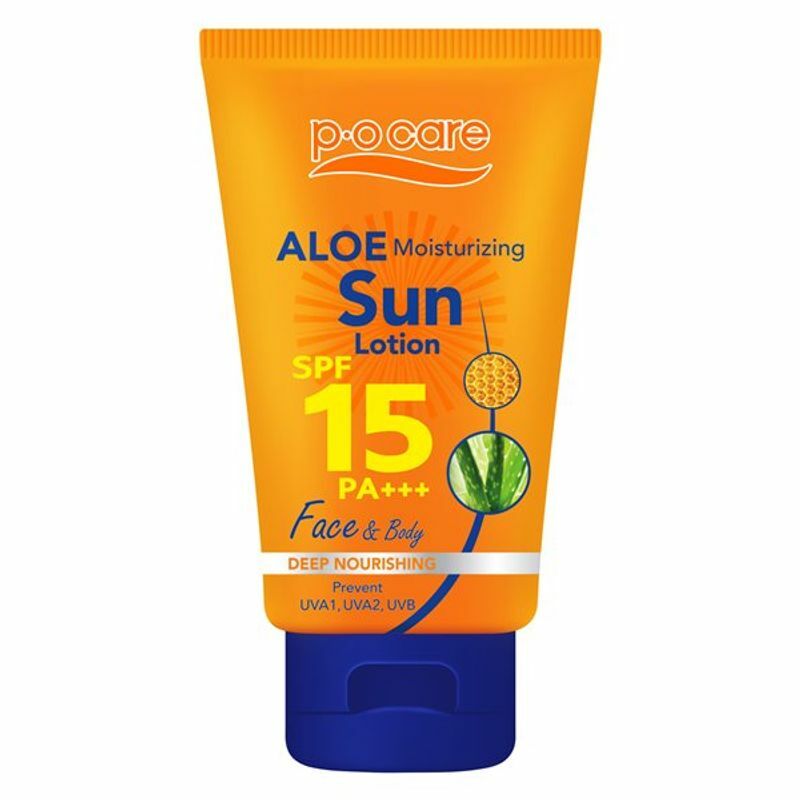 P.O.Care Aloe Moisturizing Sun Lotion SPF 15 PA+++ is a lightweight, non-sticky formula with benefits of SPF 15 PA+++. It ensures protection without irritating, both face and body skin. It is composed of natural extracts that are absorbed deep into the skin. Aloe Vera Extract in it is rich in vitamins and minerals that help moisturize skin and boosts collagen and elastin to reduce wrinkles for a younger looking skin. Pure Honey Extract in it is rich in antioxidants, vitamin E, B and C with minerals and amino acid that effectively help protect skin cells from pollution.